So, you want to roleplay, good. That will help stimulate your imagination, give you an outlet to be someone or something else, see things you never imagined you would, while sharing the experience with like-minded people. Now, what you will see or experience while roleplaying will depend on what the genre of the game is. If it’s science-fiction you can go anywhere you can see the future going, even alter the past. Fantasy gives you things from your wildest dreams, mixture of sorcery and sword play, faeries and dragons, witches and castles. Mystery, allows you to be a detective and solve a crime or find something, power of deduction. Wherever you go, it will be because your character takes you there. Your character will be your best friend, and sometimes your worst enemy, all rolled into one. It’ll be calling for you when you want to sleep, telling you that it wants to go out and play, and all you’ll be able to do is obey, because your mind will be awake wondering where it wants to take you. So, create a character, and open you mind while designing it, maybe it’s already designed and is waiting for you to see that it’s been jumping up and down in front of you screaming “Hey! I’m HERE! Let’s go out.” Once you have your character, then, you want to let it show you its world, where it came from, where it wants to go. Enjoy the ride as it’ll be a roller coaster. You’ll have good times where you are asking to do that again, eagerly, and you’ll experience its heartbreaks wanting to protect it from its world. The world you chose to roleplay in will have different players, with their characters also living out their dreams and nightmares, and you’ll be an intricate part of that, you and your character will affect them and theirs. The effect may be something small, or world shaking. And because you are playing with other people, you can’t have a story in your head all etched out in permanent marker, you should have the story written in outline form, in pencil, ready for the waste basket if not salvageable. But that’s the fun. In the story my character is a part of, someone missed picking us up from the planet, so we are down there stranded, but writing my character’s reaction to that accident was the most fun I have had, and it is having some unexpected side effects for everyone on the team, not just me. So, now that you know you want to role play, create your character, close your eyes, and trust it to take you where you need to go. Have fun! 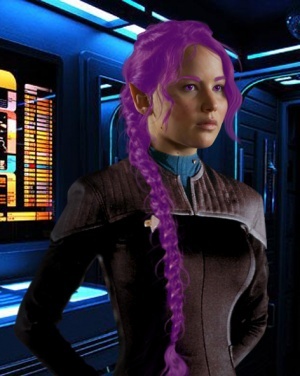 This article was written by Ensign Sundassa Faranster, a member of the USS Apollo sim with the Starbase 118 Star Trek RPG. Console games – You’re playing someone else’s vision – are they imagination blockers?